The Supreme Court today rejected as "unsatisfactory" the affidavit filed by the Centre in the Lokpal appointment matter after the meeting of the selection committee meeting on July 19 and asked it to file a fresh affidavit within four weeks. "Having perused the affidavit all that we are inclined to say is that we are wholly unsatisfied and do not accept it.Let a fresh affidavit be filed within four weeks", a bench of Justices Ranjan Gogoi, R Bhanumati and Navin Sinha said. The bench was apparently angry as no time-frame was fixed or search committee appointed. Meanwhile, noted advocate Prashant Bhushan appearing for petitioner NGO Common Cause submitted that now the only course of action is the Supreme Court itself appoint a Lokpal under Article 142 of the Constitution. "It is four and a half years now since Act came into being and it is clear that centre has no intention to appoint a Lokpal.only because the court prodding they are holding meetings and nothing comes out of it", argued Bhushan. "Now only two ways. Either the court initiate contempt or itself appoint a Lokpal under Article 142.They are just dragging their feet when there is so much corruption in the country", he said. But Justice Gogoi said "that situation has not come yet" and asked Centre to file a fresh affidavit. It was attended by Chief Justice Dipak Misra, Lok Sabha Speaker Sumitra Mahajan and former attorney general and senior advocate Mukul Rohatgi. However, Congress nominee Mallikarjun Kharge, who is a ‘special invitee’ to the selection committee, did not attend it. In a letter to the prime minister, Kharge said he will not attend the meeting for appointment of Lokpal till the time the leader of the single largest opposition party is made a full-fledged member of the panel. 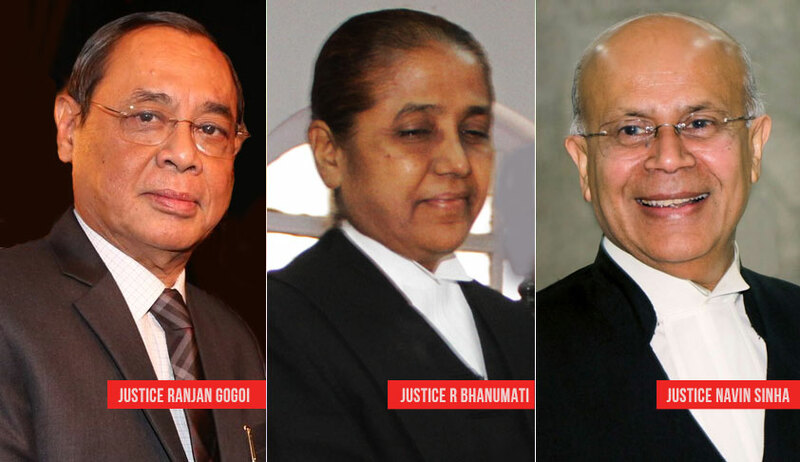 On July 17 the bench had directed the Centre to expeditiously shortlist names for appointment as Lokpal after the Attorney General submitted that the selection committee headed by Prime Minister will be meeting on July 19. "Since selection committee is meeting on July 19 we refrain to make any further comments at this moment", the bench had said. The bench also said the selection committee will have to constitute a search committee which has to lay down the norms and criteria. At this moment, the AG had expressed reservation that there is a possibility that the selection committee may not be able to complete the deliberations in one sitting on July 19 as "we cannot rush through".